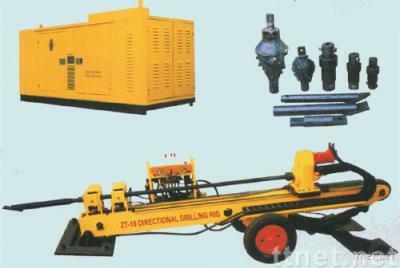 ZT-10 Product Description: ZT-10 Directional Drilling Rig is consisted of a wheel hydraulic driller and a power station, thus it is small, light and has comprehensive function. The driller and a full set of drills can be transported by a 5T truck. The power station adopts close type to reduce noise for construction at night. The main hydraulic parts and pipes adopt import products or the products made by join-venture enterprises which have a stable performance. The import dirt-proof fall resistance interface is used as the quick interface which is convenient for change and has no leakage. It has the hydraulic holder so that it can easily unload the drill.